If you have any questions about the BENEDYCTA information page below please contact us. This motor yacht BENEDYCTA is a 32 m 105 (foot) well sized steel superyacht which was produced from the keel up at Fipa Italiana Yachts - Cbi Navi and devised by Luca Dini Design and Clm Engineering. Sleeping 8 guests and 5 qualified crew, motor yacht BENEDYCTA was formerly named 35. The naval architecture office whom authored the design details in respect of this ship is Luca Dini Design and Clm Engineering. In addition, the interior designing is created by Luca Dini Design. Luca Dini Design was the naval architecture company involved in the technical nautical composition for BENEDYCTA. Her interior design was conceived by Luca Dini Design. 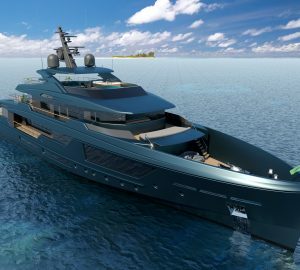 Luca Dini Design and Clm Engineering is also associated with the yacht wider design collaboration for this yacht. Italy is the country that Fipa Italiana Yachts - Cbi Navi constructed their new build motor yacht in. After her formal launch in 2001 in Viareggio she was passed over to the proud new owner having completed final finishing. Her main hull was built out of steel. The motor yacht superstructure component is fabricated for the most part using aluminium. With a beam of 7.2 metres or 23.6 feet BENEDYCTA has reasonable room. A fairly shallow draught of 2.07m (6.8ft) selects the number of certain harbours she can berth in, taking into account their particular depth. Fitted with twin CATERPILLAR diesel engines, BENEDYCTA will reach a maximum speed of 15 knots. Connected to her Caterpillar engine(s) are twin screw propellers. She also has an efficient range of 4000 nautical miles when underway at her cruising speed of 14 knots. Her total HP is 2100 HP and her total Kilowatts are 1545. For bow thruster maneuverability she was fitted with Hydromarine. As for the yacht’s stabalisers she was built with Mannesmann. The well proportioned luxury yacht motor yacht BENEDYCTA can sleep up to 8 passengers and 5 professional crew. Total engine power output 2100 HP /1545 KW. Northern Lights 2 times 55 kilowatts, 1 times 25 kilowatts. Condaria is the model of air conditioning system chosen on the yacht. She has a teak deck. 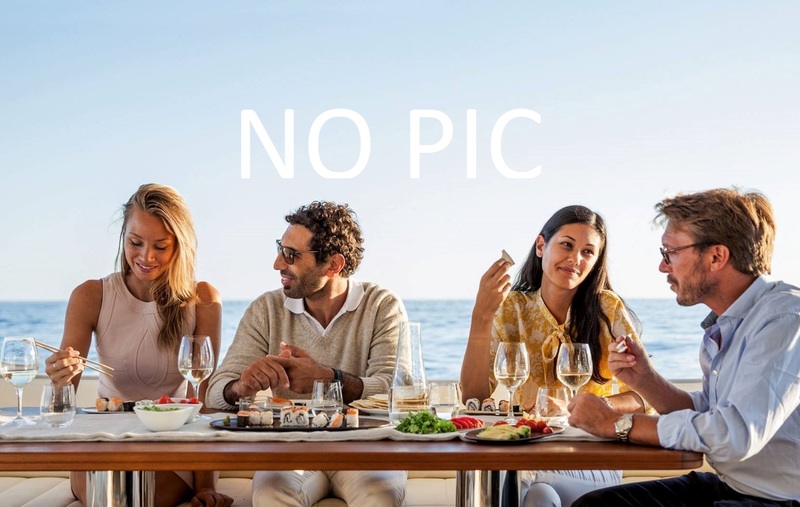 The luxury yacht BENEDYCTA displayed on this page is merely informational and she is not necessarily available for yacht charter or for sale, nor is she represented or marketed in anyway by CharterWorld. This web page and the superyacht information contained herein is not contractual. All yacht specifications and informations are displayed in good faith but CharterWorld does not warrant or assume any legal liability or responsibility for the current accuracy, completeness, validity, or usefulness of any superyacht information and/or images displayed. All boat information is subject to change without prior notice and may not be current.